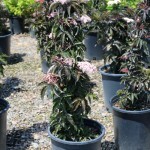 A stiffly upright, columnar shrub with deep black-green, glossy foliage. 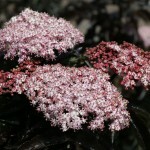 Blooms in spring with light pink flowers that are followed by blackish-red berries in fall. New leaves emerge light green creating a wonderful two-toned effect. 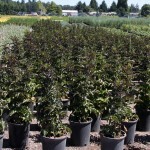 Use in the border for a tall accent or for screening. It can give a garden a modern, contemporary look. PP 23,633.